haha look at my concentration eyebrows! (and i'm packing your angry eyes just incase). A few of you lovelies asked me to do a tutorial on a simple top knot, so i decided I would do three hairstyles that would be easy to do in a rush! I thought these gifs were pretty self explanatory, but obviously if any of you want me to put instructions on, it'll be no problem :)Each hair-do takes about 3 minutes tops. awesome tutorial! I wish my hair was long enough to try these out! You can do it with your hair length too!! Maybe a bit lower. Ohh wow I might have to attempt these, your hair is so so lovely! Will definately be trying the plait one! This post is amazing! 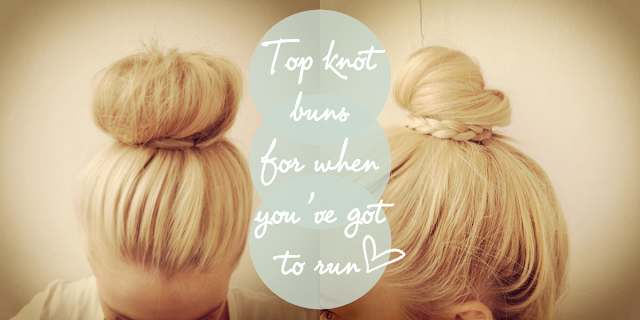 Love it haha, great way to show us ladies how to do a quick up do! I love these tutorials - definitely will be taking notes! I'm loving your hair tutorials! You make them so easy to do with the gif's and everything! Looks great. I love them all especially the second and third hairstyles! Love posts like this! So perfect and easy to do! Thank you. Your blog layout etc, looks so perfect, really beautiful! you have an awesome blog, I'm a new follower! Love the blog btw, so great, you have amazing taste! Could you please check mine out please? thanks so much! keep up the good work! Your blog is so interesting! I love it! Love it. I should do hair do's like this more often, they look so cute! Love your editing by the way. Absolutely love this! Your tutorials are really helpful. the third idea is best! This was helpful. Thank youuu!